Stimulates rapid roots growth on softwood and hardwood cuttings. Dip cutting about 15 mm into this product. Immediately stick it into a suitable moistened rooting medium like peat moss, vermiculite, perlite, sand, etc. Hardwood cuttings benefit by wounding with several shallow cuts through the bark near the base. 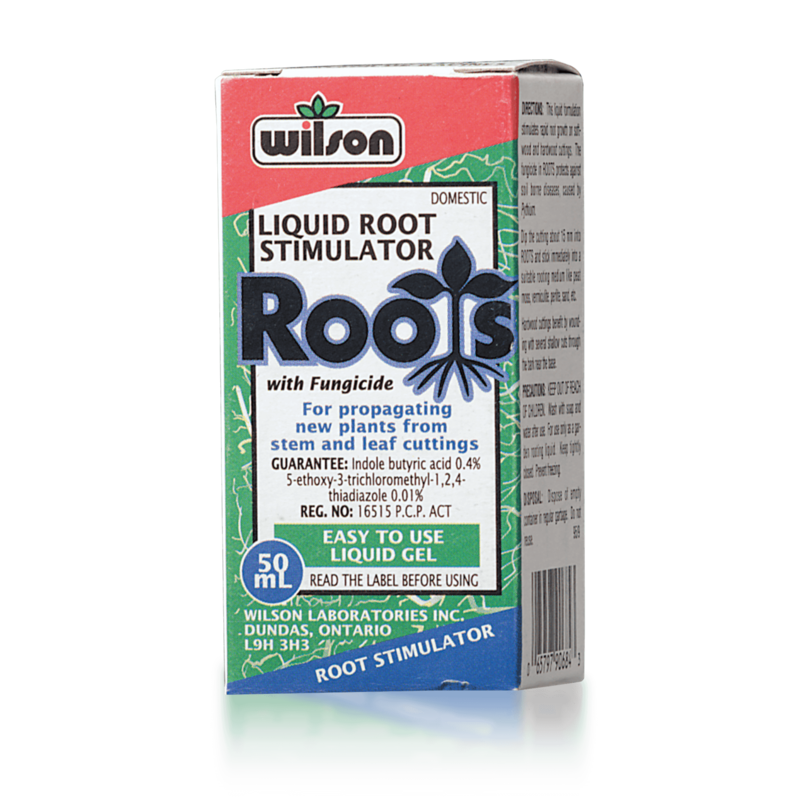 This liquid formulation stimulates root growth on softwood and hardwood cuttings. The fungicide in this product protects against soil borne diseases, caused by Pythium. Do not reuse empty container. Wrap and dispose of empty container with household garbage. Between 5 ° C to 35° C.
Keep out of reach of children. Harmful if swallowed. Keep tightly closed. Prevent freezing.